KARACHI: A large scale transfers and postings in Pakistan Customs have been finalized, and officers ranging BS-16 to BS-19 are going to be reshuffled as the Revenue Division has collected disposition lists of officials posted in all collectorates and directorates. 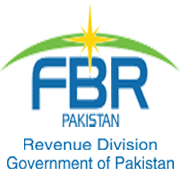 The Federal Board of Revenue (FBR) had advised all field formations to furnish disposition list of all executive/operational cadre BS-16 including Time Scale BS-17, to the FBR. Transfers and postings of officers/officials ranging BS-19 to BS-16 are likely in MCC Export Port Qasim; MCC Appraisement West/East, Karachi; MCC Port Qasim; MCC Preventive, Karachi; MCC Islamabad/Sialkot/Peshawar/Gilgit Baltistan; MCC Preventive, Lahore; DG Customs Valuation; DG Training & Research, Karachi; DG Transit Trade Karachi/Peshawar/Quetta; DG IOCO, Karachi/Lahore; DG PCA, Islamabad/Lahore/Karachi, Directorate General of Customs Intelligence & Investigation and Internal Audit, Lahore/Karachi/Islamabad. 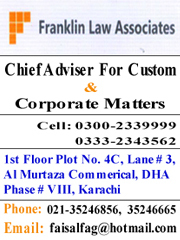 Tagged BS-16 to BS-19 officers, FBR, Large scale, Pakistan customs, Transfers and Postings.